Front Bucket Width - 7' 4"
Hoe Buckets Available - 12", 18", 24", or 30"
Weight - Approximately 17,000 lbs. Delivery to Job Location Available for An Additional Fee. Extend-A-Hoe Not to be Used with Rockbuster/Hammer 88 H.P. 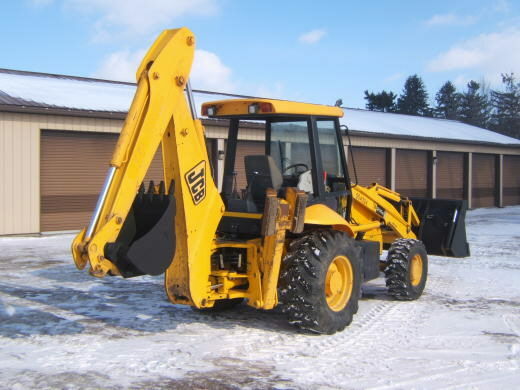 * Please call us for any questions on our backhoe jcb 214 rentals in Hagerstown MD, Williamsport MD, Martinsburg WV, Waynesboro PA, Mercersburg PA metro areas.